Holly the hippo, Rita the rhino and Elmar the elephant had been playing all day long with Leo the lion’s games. But they didn’t tidy away the toys. 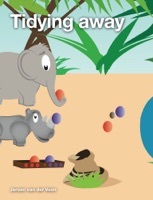 Read this book and learn about the consequences when you don’t tidy away your toys. The full version includes audio.